No wonder the exhibition called "Stardust", because the exhibition will feature more than 250 photos of celebrities, made ​​during the artist`s career, from the early masterpieces and to his last works. British photographer famous not only for its black-and-white pictures, he also turned the world of gloss, abandoning the usual static postures in favor of gay "antics." 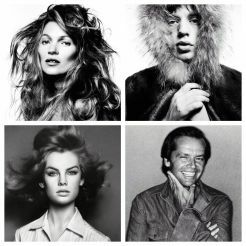 David Bailey had no vocational training, but his love of photography lifted him to stardom. Already in 1960, he began to shoot for a famous magazine Vogue. He posed not only models and actors, but also participants in such cult bands like The Rolling Stones and The Beatles. All photos for the exhibition Bailey took away himself. On display were portraits of Mick Jagger, Kate Moss, Jack Nicholson, Jerry Hall, Helmut Newton and many other famous people. 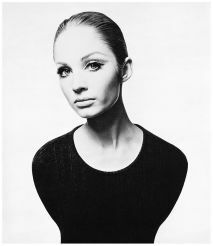 Exhibition of photographs by David Bailey will last until June 1, 2014. World famous exhibition The Wildlife Photographer of the Year will be opened in the Natural History Museum in London on 18 October 2013.